The discussion of the meaning and interpretation of the first ten Amendments to the Constitution has become central to public discourse. But with unmediated news sources and fake news abounding, it is difficult to grapple with the issues without an unbiased guide. This series of books aims to inform the interested citizen of the Framers' ideas that underpin each amendment, along with their subsequent history, illustrated with some easily accessible examples from popular culture. An imposition or a privilege? Does the Second Amendment to the Constitution confer a right, or impose a tax? The argument goes back and forth, on and on. This little book takes a cool look at the historical and philosophical underpinnings that informed the Framers' writing, the political needs at the time the Amendment was written, and the way in which it has been construed by parties of all sides since. Robert McWhirter employs a witty, light touch that manages to relate the arguments around the Amendment to its interpretation in popular culture and belies the deep scholarship and research that underpins the work. 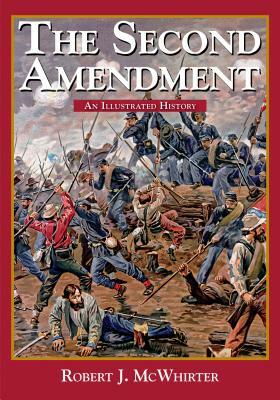 The book is an invaluable source for students of the history of the Constitution as well as providing an entertaining guide to the discussion around the intended meaning and subsequent interpretation of the Second Amendment for the interested citizen. On the journey through time there are illuminating and surprising diversions into the history of literature, religion, film, sports and popular culture. This book originally appeared as chapter two of Bills, Quills, and Stills: An Annotated, Illustrated, and Illuminated History of the Bill of Rights.